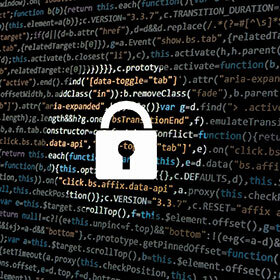 South African businesses are becoming increasingly vulnerable to the 400% growth in global ransomware extortion attacks. According to audit, tax and business advisory firm Grant Thornton, businesses need to act now to ensure that their digital systems are protected and that critical systems are taken offline. Recently an upmarket hotel in Austria had its electronic key system compromised by hackers who locked management out of its own computer system. Guests were unable to access or leave their hotel rooms and this led to the hotel being forced to pay a ransom of two Bitcoins – an electronic currency that is difficult to trace – equivalent to about $1 800 (R20 000) to gain access to their system. Martin Jansen van Vuuren, director: Advisory Services at Grant Thornton says that the Austrian attack indicates just how easily hotels’ systems can be infiltrated from cyberspace. Jansen van Vuuren says: “Hotels are doubly vulnerable because ransomware attacks may not only impede their systems, but they also could seriously impact on their guests by preventing them from using the hotel’s facilities. Part of hotel management’s risk mitigation should be to work out exactly how these malicious cyberspace attacks can affect their operations and even their customers. Jansen van Vuuren says mobile phones, used as keys in many hotels these days, are also vulnerable as they often do not have the same level of security as a desktop system. Hackers could steal ‘door keys’ via cyberspace or simply disable keys, causing huge inconvenience. Open Wi-Fi systems, that are by their nature made easy to access for hotel guests, are another potential source for hackers if they are linked to systems which can be used to gain entry to devices and then to lock out users or steal data. “The biggest weakness for hotels is their public interfaces such as booking systems that need to connect the internal systems and users to third-party applications and ultimately customers. The booking system is therefore particularly vulnerable to ransomware attacks and hackers,” said Jansen van Vuuren. According to data from the United States Justice Department, ransomware attacks quadrupled in 2016 to an average of 4000 a day. The FBI said the costs to victims of such attacks rose to $209-million (R2,7bn) in the first three months of 2016, compared with $24-million (R312m) for the whole of 2015. • Use low-code programming platforms to develop apps, as we do, where security has already been incorporated into the platform. Jonker says that while prevention is better than dealing with the effects of a cyber-attack, it is best practice to isolate certain high risk and critical (especially national) infrastructure networks and systems, so that they are off the grid and entirely inaccessible from cyberspace. They only ever link intermittently via a small ‘sterile’ middle system, with neither linked system connected at the same time – a bit like an airlock in a submarine. So an hotel’s external public reservation system might interface hourly via such a sanitised link only. “At the end of the day you balance security with the need for convenience, availability, functionality and innovation,” says Jonker. “To produce leapfrog new technology most developers are focused on building systems that work, not systems that are secure. We need to change mindsets so that we don’t focus exclusively on functionality, but ensure that we build systems that enhance security and privacy in equal measure. “We believe that technology advances can be hugely beneficial for hotels in creating great guest experiences, but the systems must always be developed with security considerations fully understood and mitigated,” Jonker concludes.